I am the front-end coder of agariomods. Earlier, I was experimenting with modding slither.io as a little side project. Because of the explosive growth of slither.io in the past week, mainly due to YouTube, I changed my focus to this. 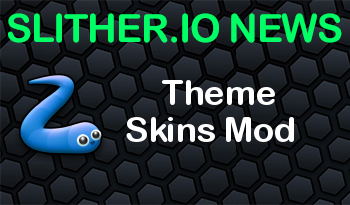 We will soon be releasing slither.iomods, which will also integrated into the original agariomods chrome extension. This will take place after we finish transitioning from agariomods.com to iomods.com. At the time being, the mod is self-hosted by me, and can be used with Tampermonkey and Greasemonkey. Any feedback would be appreciated.